Samurai, Japanese warrior clans had been treated as servants for nobles for long time, started to seize political power in the imperial court, and finally, after the war between Heikeand Minamoto clans, Minamoto clan took over the political powerof Japan and opened Shogunate in Kamakura. In the period, Zen Buddhism was imported from China and the strict principles ware widely accepted by Samurai. It greatly affected Japanese philosophy and art; naturally, the Japanese garden absorbed many ideas and beauties from Zen. The characteristic of Zen garden was that it imitatedharsh landscape of Hokuso, Chinese kingdom where ZenBuddhism had developed, and emphasizes the essence ofenlightenment. 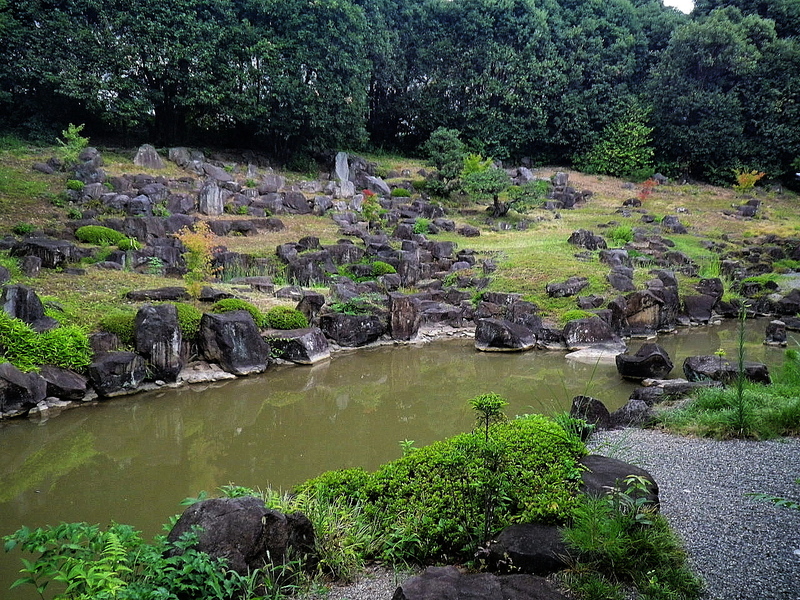 Muso-Soseki, a great Zen master in Kamakura period, saidthat making Zen garden was an approach to the enlightenment.He made Erin-ji, Eiho-ji, and Tenryu-ji which were considered asmaster pieces of Zen gardens and created one of the greatestJapanese gardens, Saiho-ji known as moss temple now. 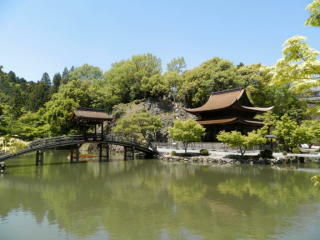 Thisgarden was imitated by many gardens such Kinkaku-ji andGinkaku-ji and influenced Japanese gardens afterward.